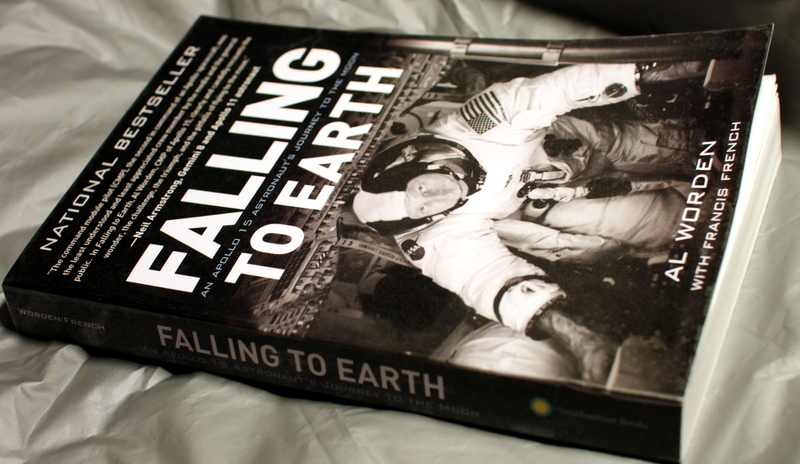 Falling to Earth must be one of the latest books about an Apollo mission, this one about Apollo 15’s command module pilot Al Worden. As far as astronauts go, there wasn’t much of a variety in their education, so West Point and Air Force was it for Worden too. And then a foreign exchange program in UK, from which he was pulled out and into NASA’s astronaut corps. That’s the part where the fun starts… Well sort of… The descriptions of training and preparing for the mission are some of the best parts of the book together with the moon-flight itself. I especially liked the part, where Al’s crew-mates have just docked with the command module in lunar orbit and are getting ready to head back to Earth, and he mentions that he’d rather want to be orbiting the moon solo even longer, instead of getting back home. I got thinking that had it been me, then without a sufficient supply of books I’d not really find the desolation around the Moon all that satisfying, even if i’d get to operate the scientific instruments that they had on the command module. Well, the book continues after Apollo 15, but for Worden it was almost only down the hill from there, giving something more to think about – profiting from space missions, tensions in NASA astronaut’s corps (that’s an issue in Mike Mullane’s “Riding Rockets” too), or the once an astronaut – always an astronaut issue. As any great book, this book makes you dream, maybe not of a brighter tomorrow, but a dustier lonelier place where you can enjoy an Earth-rise…. This entry was posted in Non-fiction and tagged Al Worden, astronaut, Falling to Earth, Francis French. Bookmark the permalink.